Some of the New York doctors who write the most Medicaid prescriptions are also collecting thousands of dollars from pharmaceutical companies – including the manufacturers of some of the drugs they prescribe. The I-Team compared a database of drug company payments -- compiled by ProPublica -- with a list of doctors who write the most tax-funded prescriptions under New York’s Medicaid program. The results show some high-volume prescribers are also compensated to give promotional talks for pharmaceutical giants like Eli Lilly, Merck, and AstraZeneca. The ProPublica database – called Dollars for Docs – allows patients to query a doctor’s name and find out if she or he has received speaking, consulting or research fees from drug manufacturers in the last four years. 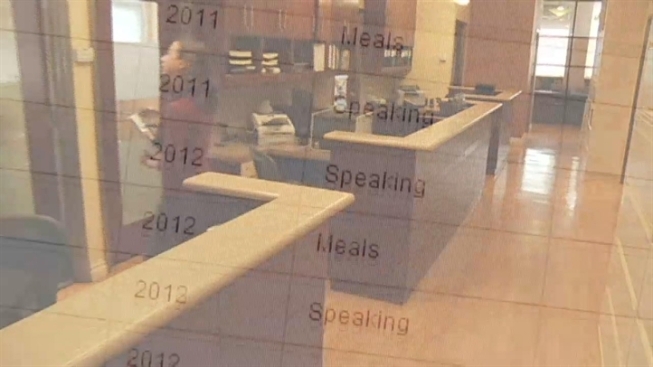 Gifts and meals funded by pharmaceutical firms are also recorded. In all, the database includes payouts to hundreds of thousands of doctors who have been paid more than $2 billion. For example, multiple drug manufacturers paid Brooklyn psychiatrist Dr. Alexander Pinkusovich $44,000 in the last three years, including $18,000 from AstraZeneca, the company that produces the bipolar and schizophrenia drug Seroquel. Pinkusovich told the I-Team he has given lectures on Seroquel, but denied payments from AstraZeneca influenced his decision to prescribe the drug. Critics of drug companies say the speaking arrangements resemble marketing more than doctor education. "It makes all of us as patients wonder, 'Can I really trust my physician? '” said Susan Chimonas of the Institute on Medicine as a Profession at Columbia University. Chimonas studies the relationships between doctors and drug companies and says the pharmaceutical firms often author the lecture material and presentation slides the doctors read from. "Really it's also an excellent way for the company to control exactly what the physicians are saying, so to me this really doesn't seem like education anymore. It seems like physicians serving as company marketers," said Chimonas. Dr. Panagiotis Zenetos, who has practices in Brooklyn and Queens, would not say whether his speaking scripts and lecture materials are provided by the drug companies that pay him. One pharmaceutical firm, Covidien, for which he does promotional speaking, paid him between $15,000 and $20,000 a year for the last three years. Covidien manufactures a generic form of the powerful painkiller Dilaudid. Records from the New York state Health Department show Zenetos wrote more prescriptions for Dilaudid and its generics than any other New York doctor in 2011, the most recent data available. Zenetos' lawyer, Doug Nadjari, told the I-Team that the prescriptions predate the lectures. Nadjari said the speaking fees Zenetos collects are for enhancing physicians’ educations and not for marketing. "I think that doctors think that it's important to hear from other doctors about what medications are appropriate," said Nadjari. He insisted the money had no influence on Zenetos’ prescribing habits and that the doctor prefers the drug because it has been shown to be safer on patients’ livers. Dr. Edward Fruitman, a psychiatrist with practices in the Bronx, Manhattan, and Long Island, has a long list of payments recorded in the Dollars for Docs database. According to federal records, Fruitman has accepted payments from drug companies including Eli Lilly, Forest, Allergan, Johnson & Johnson, AstraZeneca, and Merck. Fruitman has earned more than $199,000 in payments from drug manufacturers since 2010. He characterizes most of his speaking as promotional. “I would say they are mostly promotional but promotional doesn’t mean non-educational,” said Fruitman. Fruitman said his financial relationships with drug companies do not influence his prescribing.